It would be nice if every cracked smartphone screen had a great story to accompany it. You were chased by a tiger and threw your smartphone to distract it, for example, or a crazy ex ran over it with a supercar in a fit of rage. But unless you live a life of drama serials, that’s not likely to happen. 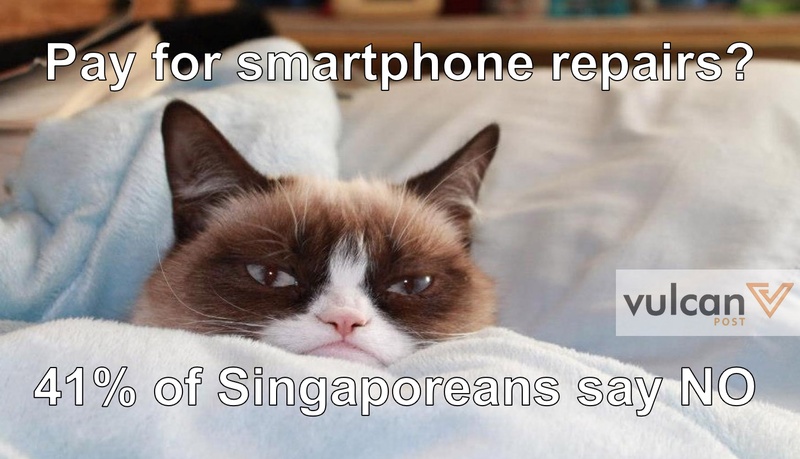 In fact, 70% of Singaporeans say that their smartphones usually just slip out of their hands. Otterbox, a company specialising in sturdy smartphone protection, has released survey results about smartphone damage in Asia. 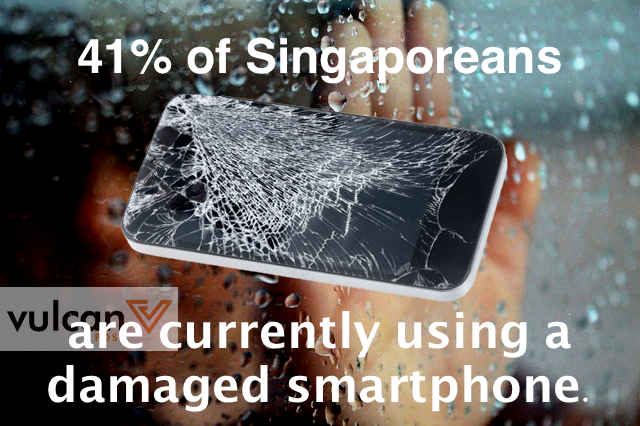 The survey takes into account the behaviour of smartphone users from Singapore, Malaysia, Taiwan, and Hong Kong, and find out things like what people do with their cracked screens, or how much we actually spend on repairs. Here are some other interesting numbers to make us feel better about our cracked screens. In fact, one in ten respondents across all countries surveyed admitted to having damaged their smartphone more than 10 times in the past five years. So if it happens to you, don’t feel bad. It happens to one out of three of us. That’s 34% of respondents, while one out of 10 smartphones have had close encounters with the toilet bowl. The other damages aren’t particularly surprising: 31% of respondents damaged their smartphones while walking along the street, while 29% damaged their smartphones while taking public transport. Wow, Singaporeans are really clumsy. A quarter (22%) think that repairs are too expensive, while 10% would rather wait to replace their phones when their contracts expire. Interestingly, 71% would rather live with a cracked smartphone screen than spend on repairs. 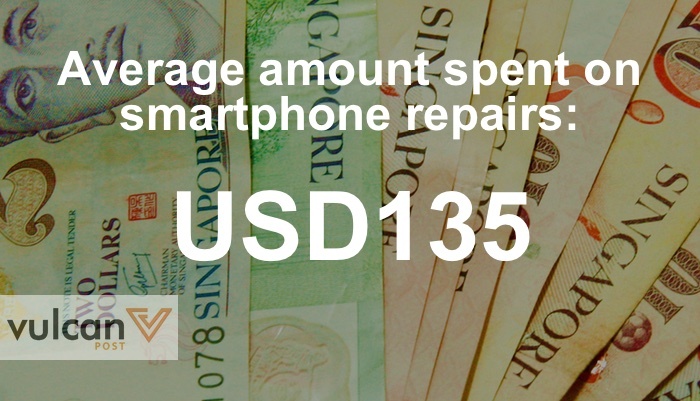 Yet, Singapore respondents will only spend an average of USD19 on a smartphone case. Does that make sense? We’re not sure. But you can bet these numbers will put things into perspective.